Searching for some of the best restaurants in Weehawken, NJ? Then you’ve come to the right place! Not only does Jaguar Englewood buy used cars and sell brand-new Jaguar models with enticing offers, but we also provide community recommendations for Hoboken drivers, including our favorite restaurants in the area. Make a reservation at one of these restaurants in Weehawken, NJ today! Since the town is so close to New York City, it should come as no surprise to Weehawken drivers that the pizza in Weehawken, NJ is a highlight. Anthony’s Pizza & Restaurant: This Weehawken, NJ restaurant specializes in thin-crust New York style pizza and emphasizes the ingredients and the dough used to make a perfect pizza. Monetti’s Pizza: Order your pizza to go with Monetti’s Pizza, made entirely affordable with a $2 delivery charge. Other options include The Flaming Pizza Restaurant, Pezzonovante Pizza, and King of Wings Pizza. If the dining experience is just as important to you as the food itself, then check out these waterfront restaurants in Weehawken, NJ. Chart House: Located directly on the Hudson River, diners from Fort Lee and beyond will enjoy gorgeous panoramic views of the New York City skyline while enjoying high-end cuisine including seafood specialties and classics. Molos: Floor-to-ceiling windows offer diners a view of New York City, and the menu features Greek and Mediterranean seafood dishes. 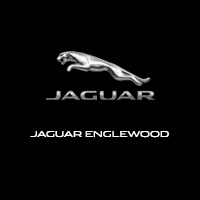 Connect with Jaguar Englewood today to learn more about the Weehawken, NJ restaurant scene, or to discover Jaguar’s history and get behind the wheel of your own today!